That isn’t snow! 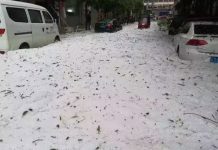 It’s the result of a very rare hailstorm that engulfed the capital city of Greece, Athens on April 15, 2019. 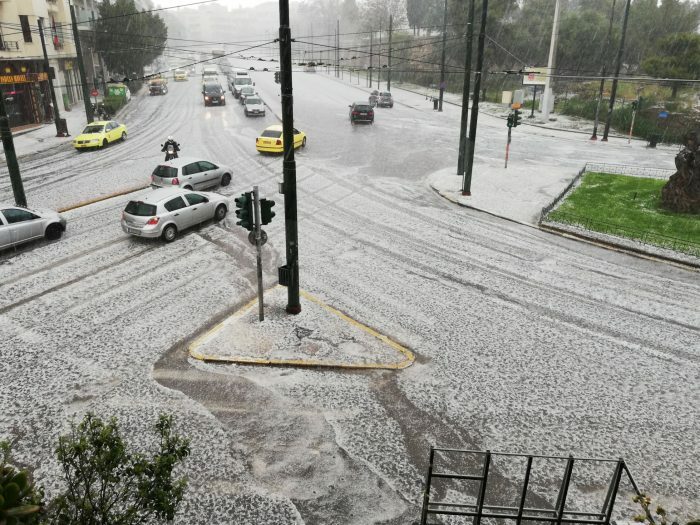 Hailstorm and torrential rainfall hit many parts of Athens on Monday afternoon, as severe weather continues to affect wide parts of the country. 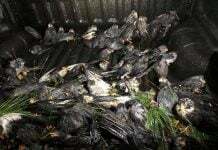 The hailstorm affected central parts of the Greek capital, in an event which is very rare for downtown Athens. 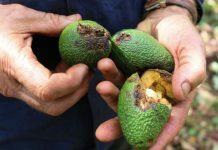 The heavy rainfall and huge amounts of hail, which fell during less than fifteen minutes, caused traffic jams in most of the city’s central avenues at rush hour. Yes a big traffic chaos! The meteorological forecast suggests that unstable weather conditions will continue for many parts of the country and especially in northern Greece during the coming days.